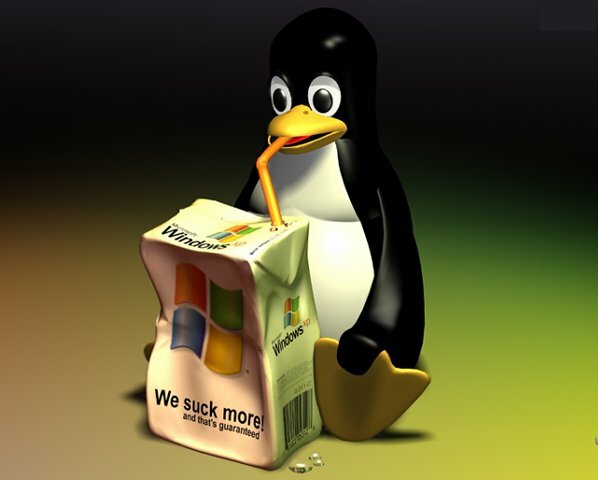 Well, lets just say the jury's still out on my whole recent infatuation with the Linux machine. It's been a crazy few days around here trying to get it all right. I'll go into a little details so you can see how utterly insane I am. Turns out the version I was using (PCLinux OS Gnome) was OK for what I was doing, but in the middle of a couple of web editing sessions, where I was editing my online memoir using Microsoft Live Office, the PC went into what I like to call the "Black screen of death". It's much like the linux equivalent to the Windows Blue screen of death. The first time it happened it left no message, no nothing. The second time it happened it said something like it was trying to find a server or something. Needless to say I can't have that happening willy-nilly. Not cool. 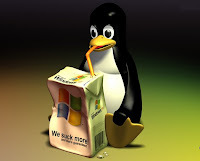 So, after posting my situation on line, along with the specs of my 'puter, a couple of techs said maybe I would be better with a different "flavor" of linux; a lighter weight, faster desktop better for old laptops. It sounded like a good idea to me, so what I did was went into Windows and reformatted the 3 partitions that Linux was on in the hopes that I could then reinstall the new version. Seemed to make sense to me. After reformatting, the booter would not boot. I thought the whole laptop was lost. If I couldn't get to windows, I couldn't do anything right? Wrong. I put the PCLinux OS disk back in and essentially re-installed what I meant to uninstall, just so I could get the thing to boot again. At this point I am back at zero, and happy to be there. Back to the online forum I go. Word is that you can install the "lightweight" version over-the-top of the existing "not-so-lightweight" one. So, that's just what I do. It's been installed now for about an hour with no real problems. Time will tell. It seems to be much faster than the other version, so life is good. Believe me there were moments where I was like "Why am I doing this?". I'm still having those moments. Linux needs to prove itself to me yet. I'll keep you posted on our little love affair. Ben's first scrimmage is tomorrow at Kettle Moraine. I'll try and keep my cool. I'll also try and post with the grisly details.